Jiu-Jitsu training can often times feel like a trek up an impassable, long, steep, slippery, and muddy path up a mountain, height unknown. Sometimes you get lost on side paths that lead nowhere or just take you in circles. There are times when you feel like you are stuck in a rut, unable to move as you watch those around you pass you by. Such moments can be demoralizing and they will test your drive and commitment to forge ahead. It is important to not get discouraged and to keep moving forward one step at a time. We are often so focused on where we are headed that we lose sight of how far we’ve traveled. Sometimes it is necessary to stop, turn around, and take a moment to look back at the path you’ve taken, and take in the view from the heights you’ve already achieved. If you are training with the same people day in and day out, it is often difficult to gauge your own progress. As you learn each other’s game you can become predictable, and even though this can sharpen the techniques you already know, it can also stunt your progress. This is why it is important to train with everyone, from white to black, from rooster to absolute, in order to gain a better perspective. In order to determine where you are, you have to know where you’ve been and where you want to be. White belts will reveal the progress in your offense and movement, higher belts in your defense and escapes, smaller opponents will leak check the tightness in your game, and bigger opponents will test the purity of your technique. Tournaments are not necessarily a good gauge of skill. 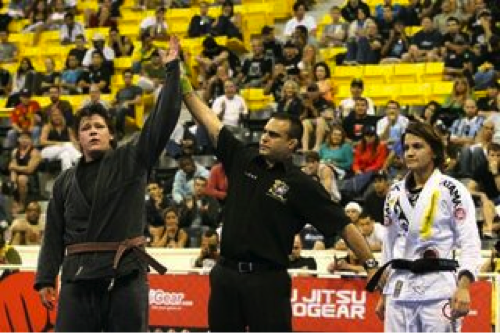 In tournaments better Jiu-Jitsu doesn’t always win. 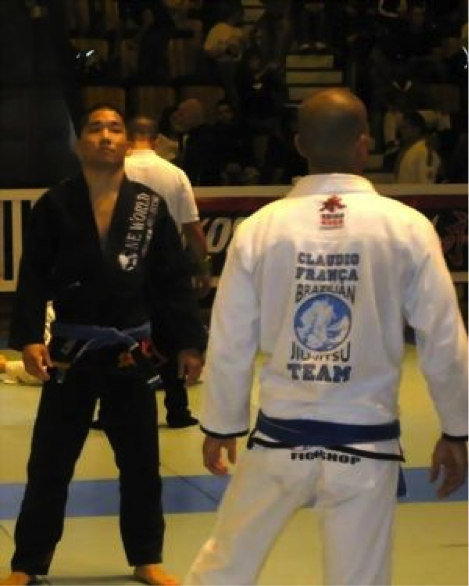 The time limit and point system can be a hindrance to pure Jiu-Jitsu. You often see the stallers and mat bullies work their way up the podium. Don’t get me wrong, tournaments are valuable and should be part of everyone’s training, but they are more of a motivational tool than anything else. The great thing about tournaments is the hard training that leads up to it; the physical and mental toughness that you have to develop in order to compete (things that tend to stay with you and accompany you back on the training mat). The greatest thing about tournaments is the sense of camaraderie, team, and family that develops and grows with every match, with every win or loss. Like a wind behind your back or a fresh set of legs, such things help keep one moving forward. He is there on a Saturday running three miles with his students to help them prepare for a tournament. He uses his personal time to help prepare us, time he could be spending with his wife and newborn child; because he wants to see his students succeed. He was coaching at the American Cup this month, 2 days before his wife was about to give birth. On the second day of the tournament he was at the hospital waiting for his wife to give birth but he still wanted minute by minute updates on his student’s progress and was giving last minute coaching tips via text messages. His passion and dedication is second to none. I am fortunate and honored to have him as an instructor and a friend. You get the sense from Mike that he would fight your matches for you if he could. That is the sense I get from my teammates at tournaments and that is how I feel when I’m watching others compete. The truth is that I bring everyone to battle in every match. Whenever I’m thinking of, applying, or defending an “Ezekiel”, I’m thinking… Dan the Man! “Cross-Choke”… Jimmy! “Omoplata”… Fookie! “Lumberjack Sweep”… Kyle! “Knee on Belly”… Chris Corales! And so on… I associate techniques with those whose applications of those techniques I try to emulate. It helps me visualize the technique… we’ll save that topic for another time. Time is not a friend. 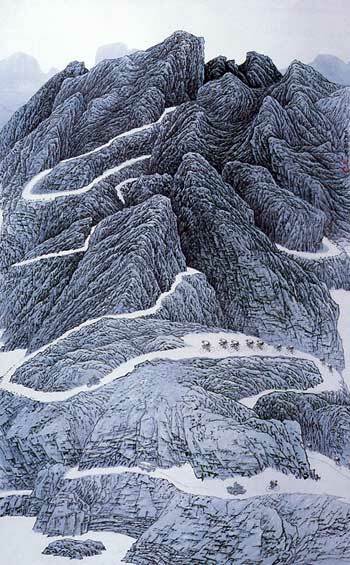 We each have but a limited amount in which to get as far up the mountain as we can. But the true goal isn’t to reach the top… for there is no top, the goal is to help others up the mountain and perhaps push them further up than one can reach. It’s about the journey, not the destination. Ultimately every one’s journey is their own but Jiu-Jitsu is a path that cannot be walked alone. It’s about the people you meet and the bonds you form while on the path… with your instructors, teammates, friends, and family who give you that push or pull up that mountain. They are the ones that come to your aid when you slip, fall, or get mired in the mud. They are the reasons why no matter how treacherous the path or how difficult the journey… it’s one worth taking. Are You a Lousy Uke?